Last year, Golden Boy Promotions made a big move when they signed an exclusive five year deal with streaming service DAZN. Golden Boy was looking for a new home after their longtime network partner, HBO, made an unexpected announcement to drop boxing – after 45 years of televising the sport. Promotional rivals like Top Rank are aligned with ESPN, while Premier Boxing Champions has deals with Showtime and Fox Sports. British promoter Eddie Hearn of Matchroom is contractually tied to a multi-year deal with DAZN. De La Hoya believes the merger between AT&T and Time Warner was the final nail in the coffin of HBO (which is owned by Time Warner). He felt all of the upper level executives, who were above HBO Sports President Peter Nelson, were not providing the proper financial support for boxing to continue on the network. “I strongly feel that… I don’t think that there was anybody there, in the upper brass, that really cared about boxing, that really had the passion for the sport – especially with the merger with AT&T. I just don’t think there was a passion there anymore. Look, I love Peter Nelson, you know, but I just don’t feel that anybody above him had a passion for boxing anymore,” De La Hoya told BoxingScene.com. But De La Hoya says the new relationship with DAZN is going to create waves to come in the future of the sport. “Digital platforms like DAZN are coming to the rescue. DAZN is a digital platform that wants to compete with ESPN and the big boys of the digital world. They are forking over the big dollars to secure the rights to the biggest stars, like Canelo Alvarez and Anthony Joshua, on their platform. 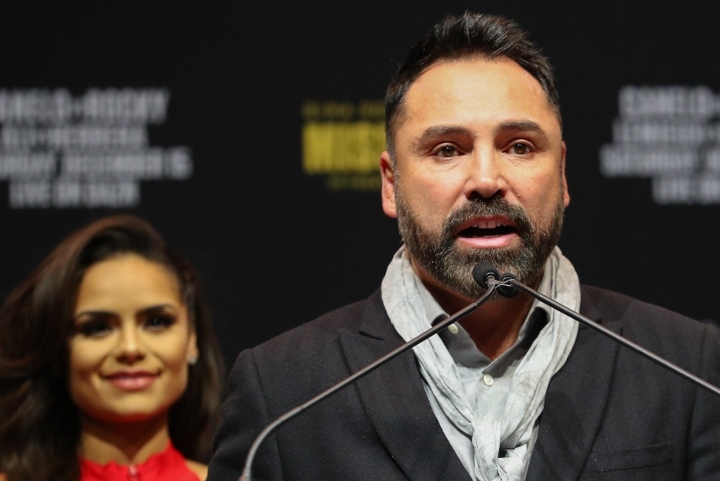 We strongly feel that the time is now, the message is right – that times are changing,” De La Hoya said.